"The Emperor Qin's Warriors not only refers to the sculptures in ancient China, but also the embodiment of the ancient war scene. 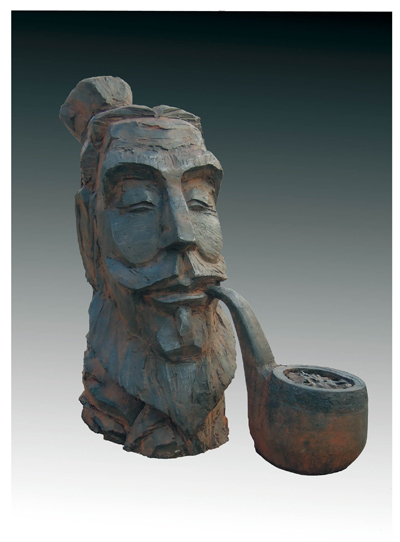 This sculpture shapes a soldier with smile, smoking a pipe (represents a fusion of different cultures), enjoying the pleasant and peaceful life. This sculpture is telling human beings: ‘stop the war, have a rest and create a peaceful future together."